Blowing up Balloons is, according to its subtitle, intended for parents. In fact, it deserves a wider audience, being the work of two highly proficient and much-acclaimed poets. Those new to writing haiku can learn a lot from studying the way these poems are crafted to achieve impact, creating worlds of meaning with minimum words. It is an elegantly presented collection, easy to hold and to read, with bright primary colours on the cover and delicate, whimsical abstracts of balloons interspersed throughout. Neither the title nor the subtitle (with its sly pun) of this entertaining book should persuade readers to dismiss it as a charming compendium of cuteness. While at times it seems obvious from its content which poet has written a particular poem, I applaud the authors’ decision not to make this explicit. In a similar joint enterprise, Braided Creek: A Conversation in Poetry (Copper Canyon Press, 2003), Ted Kooser and the late Jim Harrison maintained an equal dual anonymity. One of them wrote “Everyone gets tired of this continuing cult of the personality . . . This book is an assertion in favour of poetry and against credentials.” (A comparison between these two works is disrespectful to neither). Here also joint responsibility adds a dimension of both honesty and human integrity. While this is not consistent with Japanese linked-verse traditions, it’s something for practitioners to think about. Aside from her words, Vanessa Proctor has considerably enhanced the appearance of Blowing Up Balloons with her beautiful colour-wash art work, abstract yet definitely appropriate. If you know someone setting out for the first time, or any time, on the adventure of parenthood, this book with its equal proportions of realism, reassurance, and humour would make an excellent gift. For Japanese short-form enthusiasts, blessed or otherwise with offspring, it is an opportunity to admire two accomplished maestros at the top of their game in a prestigious international publication. Both authors are accomplished, award-winning haiku poets and together have produced a collection that will be hard to beat. Blowing Up Balloons is that rare thing, a book firmly rooted in reality that is nonetheless filled with love and is a joy from beginning to end. A collection of poems on parenthood by two accomplished haikuists. From the first pangs of pregnancy, through infancy, to early years, the poets find meaning in the smallest of events, as well as in the obviously important ones. We were delighted at the breadth of the poems. This collection would make an excellent gift for anyone who has children or is about to embark on that journey. 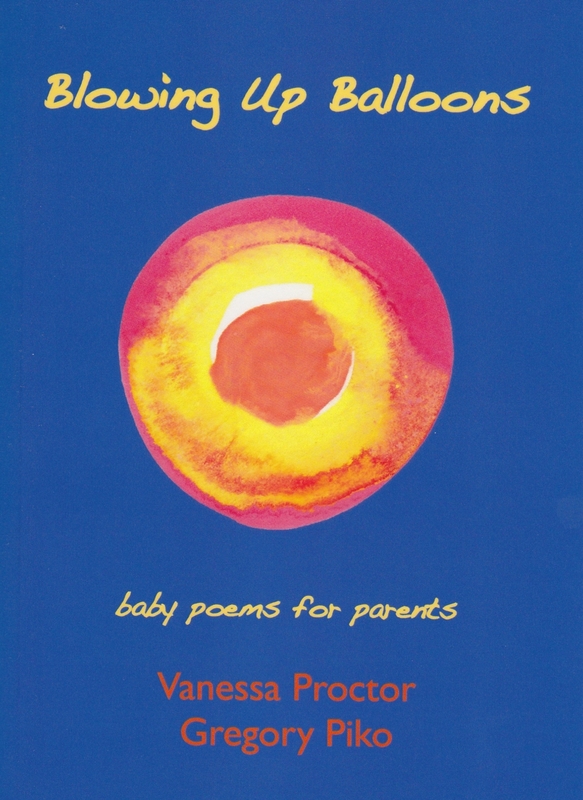 Blowing Up Balloons: baby poems for parents is a collection of parenting haiku by Australian haiku writers Vanessa Proctor and Gregory Piko. The haiku are presented one per page, without designation of the author, so the reader has plenty of room to enter into the imaginary space and let each expand in his or her own mind. I enjoyed the playful haiku, breakfast / throwing up / baby names, which is both about morning sickness and the fun of rejecting possible names for the coming baby.